Fire Chief Samuel Peña is spearheading a program to remove carcinogenic diesel fumes from fire station bays. 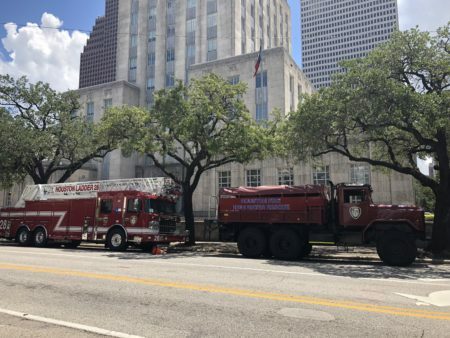 Houston fire stations will soon become healthier places to work, thanks to a new program that will retrofit all 94 stations to capture and remove diesel exhaust from fire trucks. 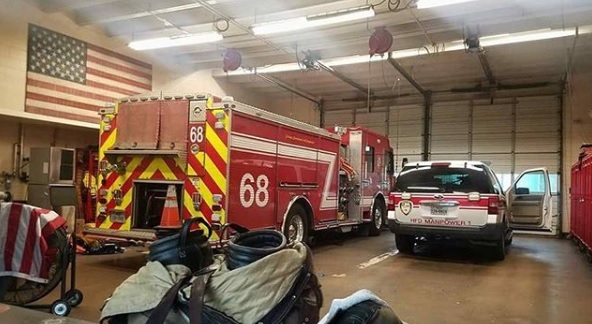 Houston firefighters are exposed to carcinogenic diesel fumes when working in poorly ventilated fire station bays. 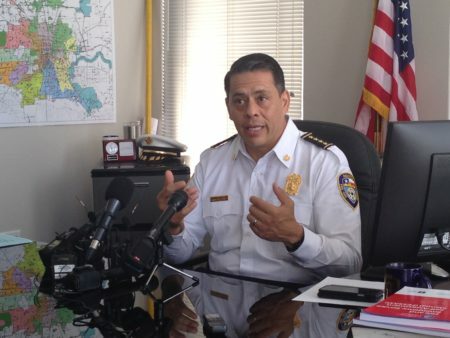 “Cancer in the fire service has reached epidemic level,” said Houston Fire Chief Samuel Peña. Peña has been fighting for the retrofit since he took office just over two years ago. Thanks to a combination of corporate donations, FEMA grant money, and a local match just approved by Houston City Council, the first 15 stations are about to get upgraded. Those include Fire Stations 7, 9, 16, 21, 25, 28, 31, 39, 46, 51, 56, 58, 60, 68, and 73. The plan is to retrofit all 94 stations within three years.